Audit under Goods and Service tax (GST) can be of the following two types. General Audit: A prior notice of not less than fifteen working days will be sent to the registered person before the audit is conducted. 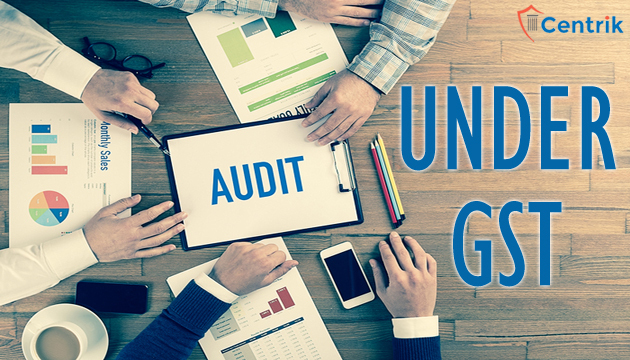 The audit needs to be completed within a period of three months from the date of commencement of the audit, but a further extension for a period of six months may be provided by the Commissioner for the reasons recorded in writing. On conclusion of audit, the proper officer shall, within thirty days, inform the registered person, whose records are audited, about the findings, his rights and obligations and the reasons for such findings. 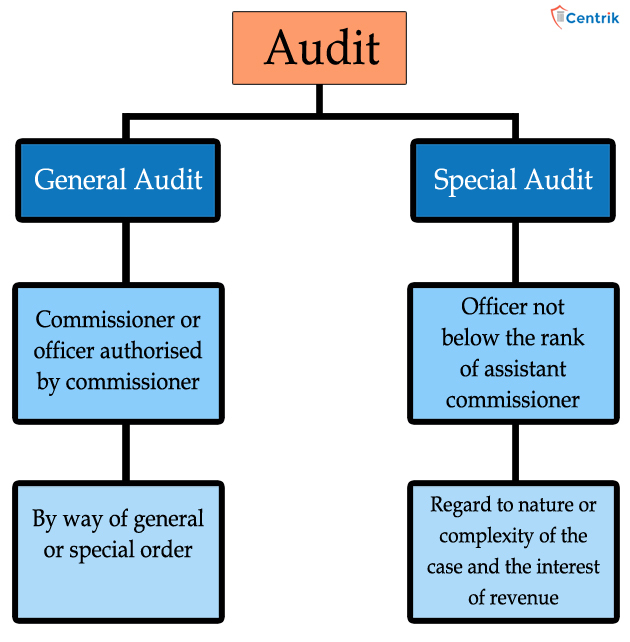 Special Audit: If at any stage of scrutiny, inquiry, investigation or any other proceedings before him, any officer not below the rank of Assistant Commissioner, having regard to the nature and complexity of the case and the interest of revenue, is of the opinion that the value has not been correctly declared or the credit availed is not within the normal limits, he may, with the prior approval of the Commissioner, direct such registered person by a communication in writing to get his records including books of account examined and audited. A report of audit signed and certified by the appointed Chartered Accountant or Cost Accountant is required to be submitted within 90 days although this period can be further extended to 90 days. The registered person shall be given an opportunity of being heard in respect of any material gathered on the basis of special audit which is proposed to be used in any proceedings against him under this Act or the rules made thereunder. Where the special audit conducted results in detection of tax not paid or short paid or erroneously refunded, or input tax credit wrongly availed or utilised, the proper officer may initiate required action.